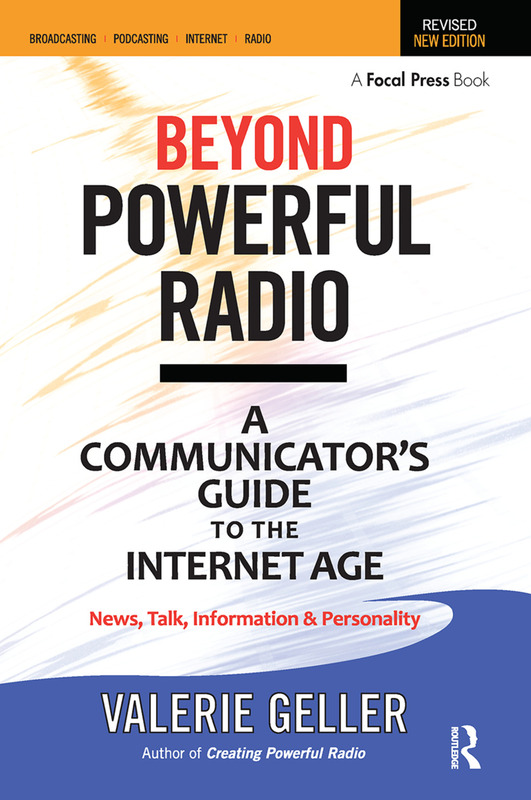 Beyond Powerful Radio is a complete guide to becoming a powerful broadcast communicator on radio or internet! This how-to cookbook is for broadcasters who want to learn the craft and improve. This practical and easy-to-read book, filled with bullet lists, offers techniques to learn everything from how to produce and host a show, to news gathering, coverage of investigative and breaking stories, writing and delivering the commercial copy and selling the air time. With contributions from over 100 top experts across all broadcast fields, Beyond Powerful Radio offers techniques, advice and lessons to build original programming, for news, programming, talk shows, producers, citizen journalism, copy writing, sales, commercials, promotions, production, research, fundraising, and more. Plus: Tips to assemble a winning team; to develop, build, and market your brand; get your next job in broadcasting, effectively promote your product; increase sales; write and produce commercials; raise money with your station; deal with creative burnout and manage high ego talent; and to research and grow your audience. Never be boring! Get, keep, and grow audiences through powerful personality, storytelling, and focus across any format. Tried-and-true broadcast techniques apply to the myriad forms of audio broadcast available today, including Web radio and podcasting. While the technology and delivery systems change, the one constant is content! Listeners, viewers, and surfers want to be entertained, informed, inspired, persuaded, and connected with powerful personalities, and storytellers. Are You a Generator or a Reactor?